Except for the choice of language, students study a common program. For Year 8, students choose to continue with the study of one language. Provision has been made to meet specific needs of a number of students who require specialised programs, either to allow them to proceed at a slower rate or to extend talents and aptitudes identified in various situations. Parents will be advised of these special programs in English and Mathematics and their permission requested for students to be allocated to appropriate groups. Additional Language Support classes are offered as an alternative to Languages to provide further assistance to cater for special needs. 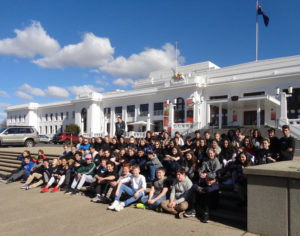 During the course of the year all Year 8 students visit Canberra, with half of the students going in the first semester and the other half going in the second semester. 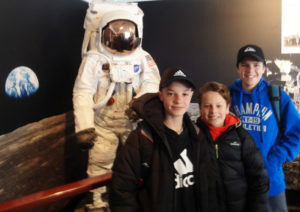 The trip is integral to the Civics unit which is part of the Year 8 Humanities course. The tour focuses on the heritage and history of Australia as well as our culture and democracy. 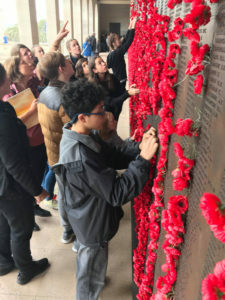 Highlights include tours of Parliament House, the High Court, the Australian War Memorial, the Australian Electoral Commission, the Museum of Modern Democracy at Old Parliament House, and the Royal Australian Mint. Other activities include visits to Questacon and the Australian Institute of Sport as well as the Canberra Deep Space Discovery Centre.